Brothers Benjamin and Joel spend their days casting their nets and dreaming about their futures. 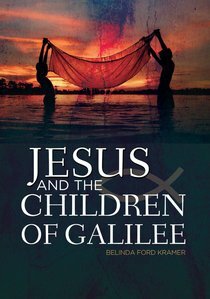 Benjamin wants to become Galilee's most prosperous fisherman, and Joel's dream is to become an important Pharisee?a Jewish leader of the city. One day, they meet a strange newcomer who takes a special interest in helping them. They follow this stranger all throughout Galilee, witnessing miraculous events and listening to his wisdom. This man is a healer, and claims to be the Son of God. Benjamin believes that this kind rabbi is the city's new hero, the one they've been waiting for, but Joel isn?t so sure. When tragedy strikes, Joel soon learns a valuable lesson that will change his life?and the course of history. About "Jesus and the Children of Galilee"